A llama walking. Photogravure after Eadweard Muybridge, 1887. Lettering: Animal locomotion. ... 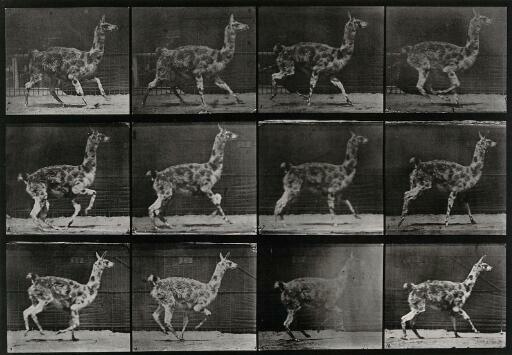 Copyright, 1887, by Eadweard Muybridge. All rights reserved.